Saint-Firmin (S.F) Monestime was born on December 16th, 1909 in Cap-Haïtien. S.F was a Haitian-Canadian and elected the first black mayor of Canada. Early in his life, S.F studied rural medicine and ended up writing three books on the subject. 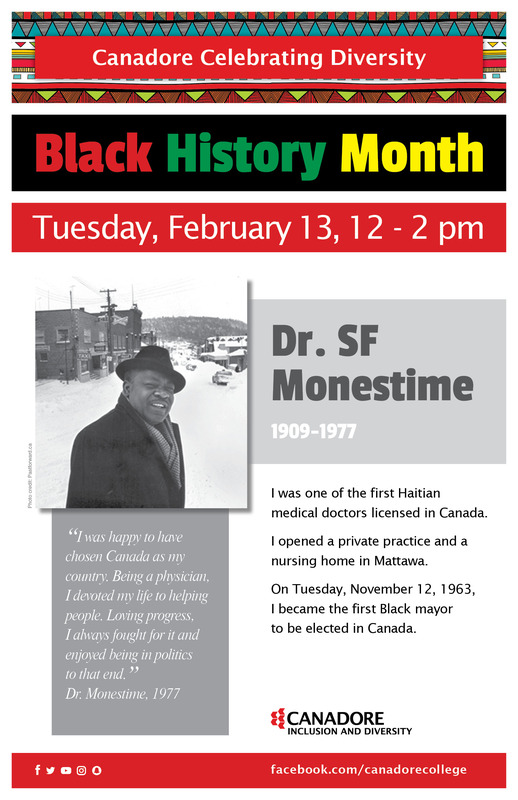 S.F Monestime was a decorated doctor, and was awarded the Haitian Legion of Merit. Soon after that, S.F moved to Quebec City to finish his medical training and was on his way to move to Timmins, Ontario before making a quick stop in a small town called Mattawa. After being convinced by a diner owner to stay in town and set up a practice there, S.F decided that it was a great idea. S.F then married his wife, and began a family. S.F practiced medicine until 1964, before being elected the first black mayor of not only Mattawa, but of any municipality in Canada. S.F Monestime stayed in his position of mayor until his unfortunate passing in 1977, and in 2014 the Haitian to Canada ambassador visited Mattawa for the 50th anniversary of S.F’s elected mayor position.